Hi, I’m Vatsady Sivongxay (VAT-sa-dee See-VUNG-sigh), a community advocate, attorney, entrepreneur, mother, and refugee immigrant. I’m committed to increasing equitable access to opportunities for all and building a more diverse and inclusive community. My passion to serve is rooted in my background. 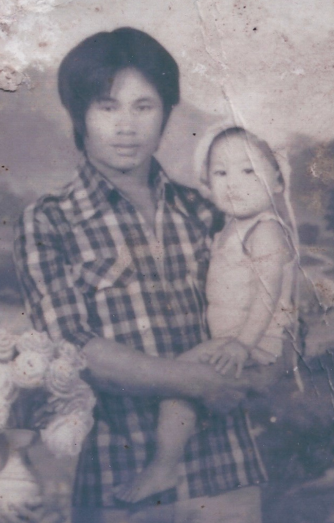 When I was two years old, my parents and I secretly fled Laos to escape unrest in the aftermath of the Vietnam War. We sought shelter at a refugee camp in Thailand before being transferred to a safer camp in the Philippines. Even though conditions were safer, they were not much better, and I attended school on a dirt floor and lined up for food rations. Being forcibly displaced from your home and country is one of the most traumatic experiences that a family can go through, and we felt so vulnerable. You can imagine our relief when we found out that we would get to come to the United States. Life as a refugee immigrant family wasn’t all easy though. In Laos, my father was a school principal and my mother was a nurse, but they were now janitors and factory workers, taking on side jobs to make ends meet. My earliest memory of how little we had was when I asked my father to buy me a three-dollar Scholastic schoolbook, and he said no. I vividly remember his torn expression, realizing that he was being asked to decide between buying a small book to fill his daughter’s mind or putting food on the table to fill her belly. Truly understanding our financial situation for the first time, I cried myself to sleep, only to be later awoken by my father’s warm hug and tearful apology. He had decided to buy me that book. I know first hand how a kind, supportive, and diverse community can break down barriers and open doors for the most vulnerable among us. My family certainly struggled with navigating an unfamiliar culture and system. But we were fortunate to be embraced by a community that included my American godmother who welcomed and supported refugees – people that certainly didn’t fit the demographic profile of the country town where she was raised. It was not long after settling into our home in the United States that my parents led an organization to give back. Starting with very little, I watched them fund the reconstruction of the school in Laos where my father previously taught, as well as provide zero-interest micro-loans to Lao families facing financial hardship. Community transcends ethnicity, faith, and geographical boundaries. My experiences, coming from a family and community that have shown a commitment to improving the lives of others in spite of our own difficult circumstances, have shaped my worldview. Because of this, I decided early on that I wanted to give back and so I earned a bachelor’s degree from Creighton University and a law degree from Suffolk University Law School. Soon after passing the bar, I served as a community legal service pro-bono attorney, and then opened a law practice to help entrepreneurs realize their small business dreams and guide immigrants through the complex immigration system. With a desire to ensure that all voices are heard, I later accepted the position as Director of Public Policy for Boston City Council District 7 (which includes Roxbury and parts of Dorchester, the South End, and the Fenway). In this position, I collaborated more directly with diverse communities on a number of initiatives such as Reclaim Roxbury – a community-driven effort that brought together over 150 community members to advocate for urban development that benefits all residents. I also fought to protect affordable housing – one of the most pressing issues in many Massachusetts cities and towns. Recalling the feeling of vulnerability from my youth and not knowing if we would have a roof over our heads, I organized legislative hearings and facilitated conversations among tenant advocates from the Chinese Progressive Association and City Life/Vida Urbana, landlords from City Realty, and lawyers from Greater Boston Legal Services. Our work resulted in a landmark agreement that is a model for protecting the availability of affordable housing, and I am confident that we can continue do this impactful work! From my family’s experience navigating the education system, I know first-hand that building partnerships among students, parents, and educators is key to educational successes and transforming lives. Collaborating with school administrators and education activists, I organized multi-lingual workshops to help parents better advocate for their children. I also advised students on how to push for legislative change by navigating government structures and more effectively making their voices heard. Beyond the tangible results, our efforts led to better working relationships and more positive outlooks from students, parents, and educators who all appreciated the opportunity to work together and meet the needs of our students and families. I’m committed to bringing the same hard work to ensuring that every child has equitable access to high quality and affordable education—from junior-K to college. The positive impact on the lives of individuals that benefited from the service work of my parents and godmother demonstrated to me the importance of volunteer service for building stronger communities. As a Trustee of the Harry H. Dow Memorial Legal Assistance Fund, I fundraise to provide grants to ensure access to the legal services for those who are deprived of justice. 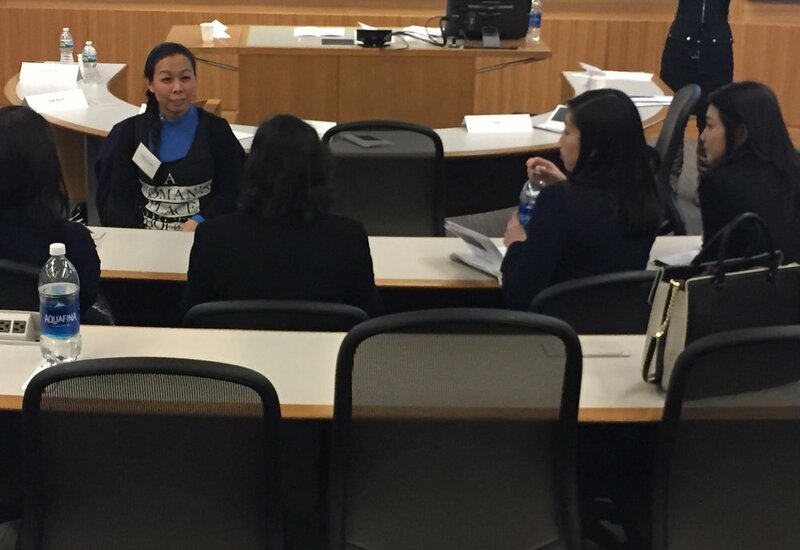 As a Director of the Asian American Lawyers Association of Massachusetts, I promote diversity in the legal field by organizing career networking events and supporting scholarship opportunities. Through this work, I have gained an even deeper understanding of challenges faced by so many people. My life experiences drive my commitment to ensuring that all voices are heard and supported, and I believe that everyone should receive the same promise of opportunity that was shared with me. Together, we can protect and increase affordable housing, improve access to quality early childhood education and enrichment programs, make the minimum wage a living wage, strengthen local businesses, better connect services and resources to residents, and to build an equitable, resilient, and sustainable future for all—especially for the most vulnerable among us. My husband Stephen and I are proud to call Cambridge home and feel fortunate to be part of such a diverse community. We met in Cambridge, we got married at Cambridge City Hall, and in a few years we look forward to sending our son to Cambridge Public Schools. Like many of our neighbors, we not only embrace Cambridge’s diversity, we embody it. We are a blended multicultural, multiethnic, and multiracial family, and our story comes from different chapters in the narrative of this rich, diverse country and community. Our family also represents a diversity of faiths and beliefs —Christianity, Buddhism, Hinduism, and Islam – providing a moral foundation to love and support Stephen’s brother as a transgender man. Cambridge is a wonderful and dynamic mixture of ethnicity, culture, and history. There are families who have lived here for generations and others who more recently call this city home. It is my core belief that despite our differences, we still share many common values, and by working together we can achieve our common goals.